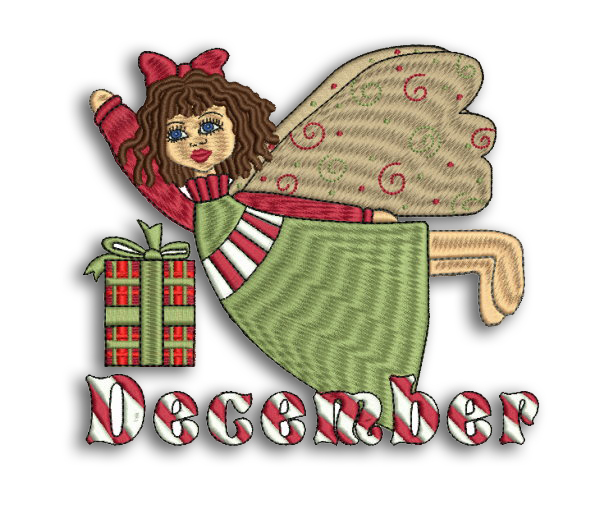 December Angel - 2 Sizes - $4.99 : Fancy Fonts Embroidery, Home of the ORIGINAL Trendy Dots Font! This design is perfect for any Christmas project and comes in 2 sizes! Couldn't you see this on an apron or totebag? What about a throw pillow or table linens? Monogram Set #30 "Bugs N Flowers"